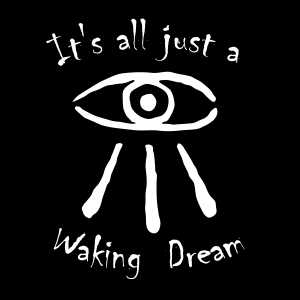 I apologize for the hiatus on something meaningful and thought-provoking, but the common reality has a way of getting in the way of what I wish to explore. 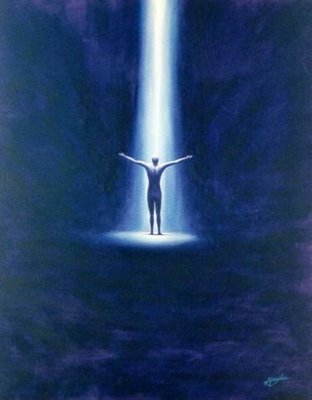 Today, I am going to discuss connections, for I feel that there is a need to further explore how we are all One, and how this is possible. The more we can accept this simple truth the more chance we have of saving ourselves — and yes, it is a truth that I firmly and staunchly believe. This was the first poem I ever read when I started my English degree. The class was British Modern Age Literature and this poem, of all the wonderful poems in Yeats’ body of work, has haunted me for my entire adult life. But to put it in context of how it relates to our world is that We are all the center that cannot hold because we have lost our connections to the hub that is our Oneness — the singularity that binds us, yet allows us to explore our universe from different perspectives while sharing our observations. My day job is filled with data analysis and I use artificial intelligences, namely neural networks, to process data. But, coding these automatons requires a deeper understanding of the biological construct which inspired them — the human brain. 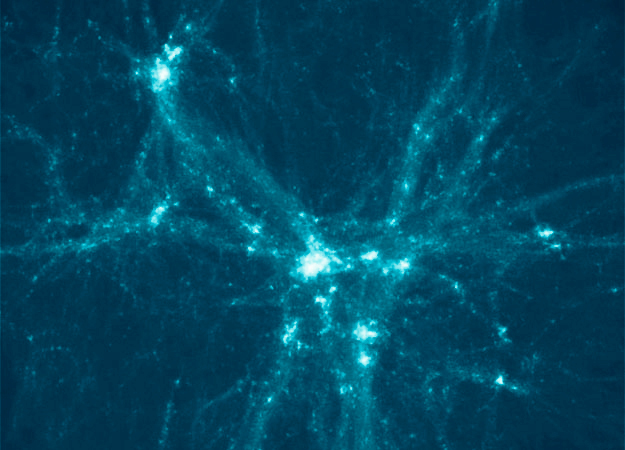 In the figure pictured above, you see how the billions of neurons in your brain are connected. When the mind is thinking, it is a storm of electrical surges that ripple like lightning over a rain filled thundercloud. 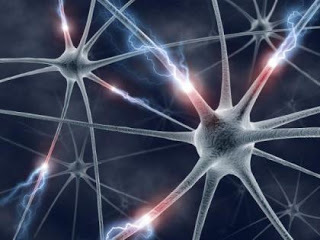 Each neuron is connected, directly or indirectly to the whole through cause and effect. Each neuron processes a bit of information, and signals other connected neurons to fire and assist in the deduction of the appropriate response. For instance, when you see an apple, neurons fire that process color (red), shape (apple), ontology (fruit), context (edible) and spacial (distance). All happening at the speed of light, to deduce that what you are seeing is in fact an apple. But this does not happen without learning — i.e. positive and negative reinforcement. An artificial intelligence is like a child. It must be trained and given experience. We train it by giving it known things. Such as, if we want a neural network to be able to recognize faces, we given it pictures and have it find them. When it is right, we “reward” it by telling it that it answered correctly. When it is wrong, we “scold” it. This process continues until we feel that the AI has a good grasp on what the general shape of a face is, but we do not over teach it, because we know that not all faces are created equal. Also, if we are processing photos, lighting, age, weight and other obstructions, can be hard to distinguish. We want the AI to be able to come to a conclusion on its own, with our gentle nudging in the right direction. This is a typical layout for a very simple AI. We have three inputs, which are the variables or traits we know. 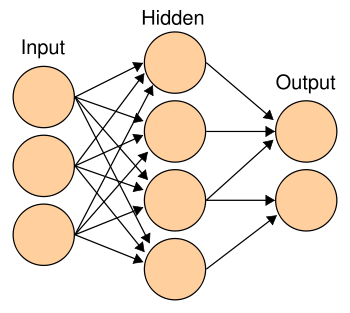 The hidden layer connects all of the input neurons to the output neurons, and acts as the “memory” of known answers. This memory is all governed by very simple equations that strengthen or weaken connections between certain neurons. The stronger the connections, the more likely they will fire and produce the correct answer. Now, you may be asking, why do I care about any of this? It’s very simple. If you look at the world, with every living organism as a neuron, we have connections. And, when we work in tandem, we produce an outcome. Sometimes we stay “wired” to one another, and produce a similar outcome, other times, we drift apart and make different connections, different outcomes. I have observed people in different settings. In one setting they will come up with different outcomes to the same inputs, depending on who they are with. As an example, you what to go to a movie. If you go with Group A, you will probably see a Romantic Comedy. If you go with Group B, you will probably go see a Horror film. The outcome is governed by the collective behavior and connections within that group. And if you decide you don’t want to see Romantic Comedies any longer, you will drift further from Group A when it comes to movie going, until the connection is weakened and possibly lost. The point of this particular rambling is to punctuate that we as living organisms, not just humans, but all living things, function as a global mind. It is a very difficult concept to accept for many because it infringes on the “self”. However, every neuron in your brain is an individual, yet it must have input and connections to the rest of the brain to be of use. If it is not being used, it simply dies. This is just another example of how we are all connected. Our global mind produces the outcomes that we experience in day-to-day life. And if the outcomes are not what we want, we must relearn, retrain ourselves, until we can achieve what it is we want. “Things fall apart”, yes, they have and do. But it within our power to make amends before the “rough beast slouches towards Bethlehem to be born”. 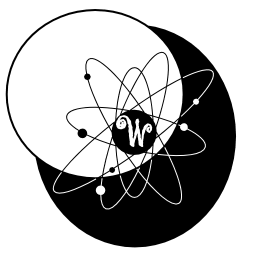 This is my hypothesis on Oneness, and I am opening the floor to be challenged on the validity of my analogy as I formulate a cogent theory of Oneness and Global Consciousness. A friend pointed out to me that I haven’t really given you much to help you explore these topics inwardly. The purpose of this particular series is to get us all to look at ourselves, because we cannot change the world unless we start with ourselves, because we are all collectively a part of the problem. 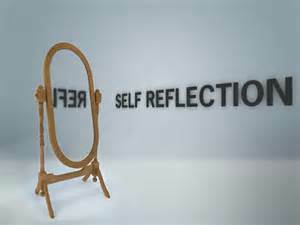 To today I will discuss self-reflection. It is very hard to look within ourselves and see what is wrong with us, if anything. But I know that I personally have things to work on with my own self, and I suspect there are many others like me who do. There are so many people out there trying to sell books to tell you how to help yourself, but the simple answer is that the only one who can help you is you. When we look at the world, it is a reflection of all of us, each and every one. And it will take all of us to change the world to be a better place — no poverty, no violence, no fear, no greed, leaving nothing but hope, peace, love and compassion. There are much more personalized ways to explore yourself, uncover the things that you don’t like and change them. The first step is to recognize your problem areas. Once you’ve recognized them, you can find ways to deal with it. There is always hope, and no problem is insurmountable if there is a will to do something. Everything begins with the realization that there is something you want to change. That’s actually the easy part, because deep down inside you know the things that you want to change about yourself. The hard part is the discipline to fix it. Nothing is easy, and changing things about yourself requires training and perseverance. 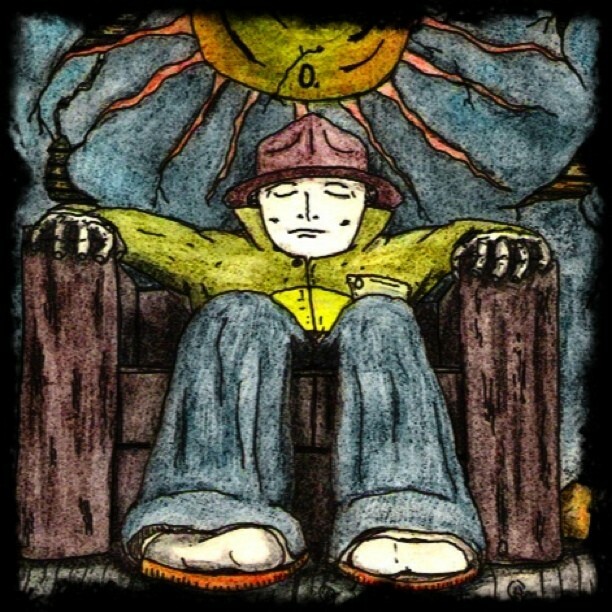 I have spent a great deal of time working with meditation and a form of assisted meditation, known as hemi-sync. I am fortunate that I live close to the Monroe Institute, here in Virginia, who have been the pioneers in binaural beats. They sell audio files, both music and self-paced instruction, to teach you how to meditate and explore the depths of your psyche and how to find inner peace. Their Gateway Series is the best place to begin, and it is reasonably priced. But there are other ways to explore yourself. I find that I learn more about myself through my creative outlets, something we all have, and through my works, the things that make you unique will expose themselves over time. When I find something that I want to change about myself, I create a little rhyme, poem or mantra that I tell myself whenever I find myself falling into an old, unwanted pattern. Living with OCD has helped me in this case. I tend to be attracted to shiny things — I’m probably a raven in disguise. When I am at the store, and I want to purchase something, I think about it over and over, telling myself “Do I really need this? Or am I going to use it for a few months then toss it to the side?” I say this over and over until I have either listed enough logical arguments that I need it, or I come to the conclusion that it is just the raven in me that wants it. I do not have the answers, and though there are many people who will tell you they have the answers, the only person who knows you is YOU. It’s okay to ask for help, but you’re the one that has to decide what it is that you want to change about you. It is up to you to take personal responsibility for your actions, and the direction of your life. We all have things that have happened in our pasts, but we also are the one defining our futures. No one is directing you or controlling you. If you feel that way, you simply say no, I’m not going to allow this to happen anymore. It really is that simple, and I’m not trying to sell you a self-help book. It’s all about realizing you are the captain of your vessel. And once you have accepted this, you can change yourself for the better, and thus we can change the world for the better. Take a moment to see some of the responses that people left. There are always positive things about yourself and our world. We are so mired down in the negative, because that is all we are fed, day in and day out. So when you look inside yourself, also look around you. See the good and bad in you, see the good and bad in our world. The answers to fixing both ourselves and the world will be similar. So today I will leave you with this question, which you do not have to post or answer for me: Look inside yourself and find is there something you really need or want to change, and how can you achieve it? Today I am going to explore a very difficult subject — Violence. Our world has always been filled with violence. Some people think things are getting worse, and they are. It’s also much more visible than it ever has been before due to the media and the internet. And, sadly enough, violence sells. One night I did a little experiment. I sat down and turned on CNN Headline News for about 3 hours. During the time, I made a little mark in a note-book for every violent and non-violent story I saw. It was not surprising to me that over 60% of the stories that I saw were violent related. Why is this? Because we enjoy violence. It’s not to say that we are bad because of this. Like Fear, Violence is an instinct and a reaction for survival. We kill animals because we are omnivores. We kill each other out of a variety of reasons — religion, race, greed, envy, apathy, righteousness, and most of all, stupidity. Killing is the most dire of all violence, but we perpetrate other forms of violence as well, the lesser violences. Spousal abuse, child abuse, verbal abuse, bullying, road rage, vandalism, and sadly, in self-defense. It is perplexing that we’ve not learned to overcome this. It is another sickness that plagues our society. 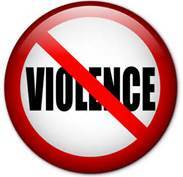 One violent act begets another violent act, a vicious cycle, a butterfly effect. It is even more upsetting that we commit violent acts completely unprovoked. We were originally violent by design, but we are supposed to evolve intelligently. The violence always comes back to fears and greed. We commit violence in the name of God — which is so beyond my comprehension I don’t even know where to begin with that topic. We commit violence over ideals, which again makes no sense — gay bashing, bullying, politics, entitlement issues and lack of understanding each others views. We commit violence over difference of opinions — who is to say who is truly right? I could go on, but all of you know these things happen. And we all have at one point or another committed an act of violence — even as simple as biting a sibling over a favorite toy or the last cookie. It is ingrained in our psyche that violence is the last resort, the last answer, when in reality, it is the one thing we should strive the most to overcome. It is only then that we can focus on changing the world. But instead, we allow our governments to wage war on one another over silly things. Every culture on this planet is beautiful in its own way, it is what makes us unique. It is usually a handful of people who end up defining an entire culture. We generalize entirely too much, and we hold grudges entirely too long. Things happen — we should learn from our mistakes and move on, but we have not. Wars are still happening. People are still killing, stabbing and maiming one another. We hate for no good reason. Everyone has their opinions on how to stop violence. So lets explore a couple of those. Gun control, that will solve nothing because if someone wants a gun, they will get a gun, or a sword or a crossbow. The only way to stop people using guns is to stop having guns produced at all. But we know that’s impractical. Sure we can make it harder for people to get guns, but we all know where there is a will there is a way. Look how well the War on Drugs has worked. People still use drugs. Sanctions against countries who are threats. Well that doesn’t work because it just makes them more determined to have their weapons of mass destruction. As much as I love this country, it is highly hypocritical to say that one country can have nuclear weapons, and another cannot. We did drop the first nuclear weapons, but on the other hand we’re saying no one else can have them? Who are we to say this? This has only made us a greater target because our involvement in other country affairs makes them hate us all the more. Religion is absolutely not the way to stop violence, because all the major religions have teachings against violence, yet they have all been involved in acts of violence. The Crusades, Radical Islamists, The Inquisition, The Salem Witch Trials, The Holocaust — the list goes on. All these religions believe they are right, and they are entitled to their opinions, but, not one of them can prove that they are right. Not one. There is only one way to stop violence forever — each of us must make a conscious decision to not commit an act of violence. And through this our children will learn that it is emphatically wrong to kill or harm anyone. Period. No exceptions. It is only through love that violence will be eradicated, and we will talk about that tomorrow. So I leave you with this question: What is one thing you believe we, the human race, can do to end the violence in our world? This is the first part in a new series of blog posts. In my previous series, How to Change the World, I talked about just basic things we could do to change the world and make it a better place. As I read through the series, and in observing people on Twitter and Facebook, I realized we need to explore ourselves before we can even grasp the concept of fixing the things around us. Today, I will begin with fear, as that seems to be the root of all the problems we face in our world. Fear is one of the most basic human emotions. It is the thing that keeps us alive, allowing us to avoid perceived dangers, and causes us to withdraw, hide, or run. If you just watch one hour of news, its easy to see that there are so many things can be afraid of. But the question arises as to whether we should be afraid. There is a fundamental statement which we must all remember — we will all die one day. There is no avoiding it — nor should we. And if we spend our lives worrying about it, we never have time to enjoy what time we do have. My friend just died, as you may have read in my previous post. He was only 48, only 5 years older than myself. Two years ago, my Grams died, and she was 92. When I was 1-year-old, my twin brother and sister died after only one day. There is no pattern, there is no way to predict it, and there is certainly no way to avoid it. All of us have been exposed to death at some point in our lives. A friend, a pet, a parent, a sibling, a spouse, a child. It happens. And each time we do experience it, it fans a burning fear in our chest, wondering if we, or someone else around us, will be next. 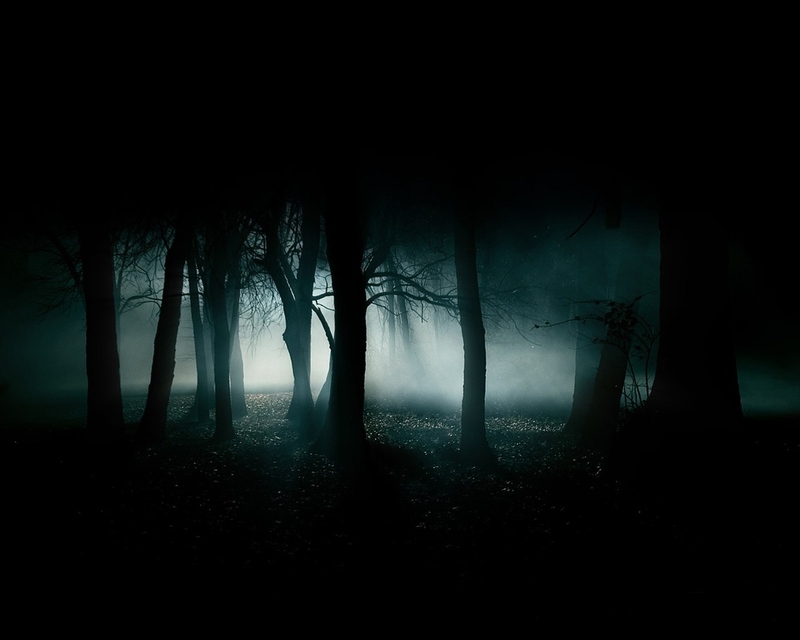 If you take a long hard look at what you fear, you’ll probably find that it all leads back to avoiding harm and death. None of us like to suffer or be in pain, and we certainly don’t look forward to death. I know many people who live in constant fear, and I can tell you from my perspective, they are not at all happy. It’s not easy to release fears, especially the deep seeded ones. I am here to tell you that you can shed your fear. I used to live with a legion of fears, and then one day, I decided I would not allow it to control me anymore. I don’t know what the catalyst was. I just woke up one day and realized that I was reclusive, withdrawn and aggravated with the world. I just stayed with my family and my small circle of friends. It’s easy to become disheartened. We turn on the news and someone is killing someone, or we are involved in war, or we see horrible acts of violence against our fellow humans. It’s okay to be concerned and careful. But fear eats away at the soul. It was only when I shed my fear that I was able to live. And when we shed our fears, and realize that its unnecessary and unavoidable, we can start to look at the world around us with a renewed sense of hope and do it. Changing the world begins with changing ourselves and humanity. Look at those around you, learn from their fears in order to address your own. So tonight I leave you with this one question: What do you fear the most and why? Don’t just read it, think about it and answer. Sometimes speaking it out loud, will allow you to confront it and end it. 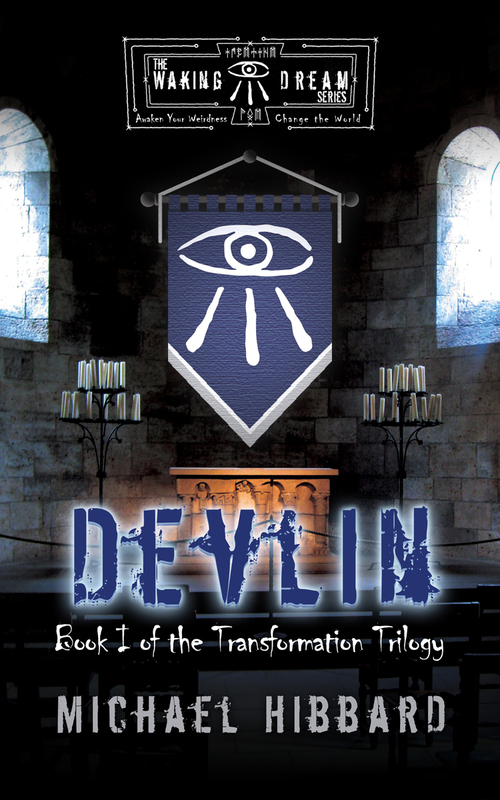 Posted on July 1, 2013 Categories NovelTags apocalypse, awareness, beginnings, books, evangelism, excerpt, immortal memories, immortality, insanity, literature, novel, novels, pdf file, twilightLeave a comment on Waking Dream: Devlin Excerpt Released!